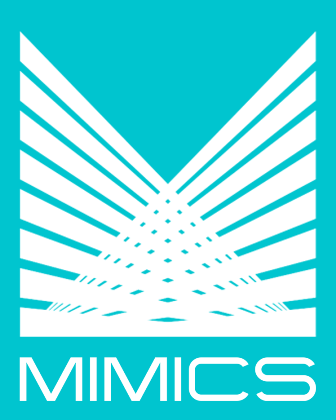 MIMICS Order Management Software is designed to facilitate taking and entering buy and sell orders from clients of any instrument type, processing the completion of the orders, and processing additional exchange and legal actions, such as certificate lodgment, pledging, indemnity fees, and transfer taxes. Fee and commissions are tracked for all activity. Full reporting is available. MIMICS Order Management Software allows the easy entry of trading orders. Buy and sell orders can be entered. A specific quantity or a specific value can be entered. The price can be specified, or the order can be placed at the market price. Limit and stop/loss prices can be entered. You can indicate if there is a minimum required to fill, or that the filled amounts must be in a certain increment amount. The order duration can be entered as a day order, good 'till a certain date, or as good 'till cancel. If the exchange where the order is placed provides an interface, the MIMICS system can automatically post the approved orders. The MIMICS Order Management System will handle the processing of any type of instrument that is traded over an exchange including, but not limited to, Equities, Fixed Income, and Commodities. Complete your orders manually or they can be completed manually. The trades can be imported from a file sent by the exchange. At the time of completion, the MIMICS system will verify that completion falls within the proper parameters specified when the order was placed (such as the price, the quantity, etc.). Any completed amounts that do not comply will be automatically posted to the house account. The system calculates fees, commissions and taxes. Fee and commission defaults can be set for flat or tiered. Tiered schedules can have different tiers as flat amounts or as a percentage of principal. Taxes can be calculated on the fees and commissions charged. Fees and commissions can be overridden manually. Additional exchange activity can be processed, including lodging certificates with the exchange, withdrawing certificates from the exchange, pledging certificates, releasing pledges, entering indemnity fees and transfer taxes. The customers' account balances are tracked in the system. Receipts are posted when the customer deposits funds. Disbursements can be processed. If the disbursement is paid by check, the system can print the check and maintain the check register. The activity entered in the MIMICS system can optionally be required to go through an approval process. For example, the order completion can be imported, and then go through the approval process to allow the verification of fees and commissions calculated. Full reporting is available in the system for all types of activity. Forms, such confirmations and acknowledgements can also be printed, and can be set up in your custom layout. All data files are encrypted. The system provides multi-level password protection. All menu selections can be password-protected. Even fields and buttons can be protected. Profiles can be established for different job functions. With the optional MIMICS Report & Form Designer Feature, you will be able to modify any report or form (such as a confirmations) with the layout feature. This feature includes the ability to design your own reports. As an optional feature, MIMICS can set up a Web Interface to allow your customers to log on to view and download reports and statements. MIMICS customizes all websites to match the aesthetic layout of your existing website.